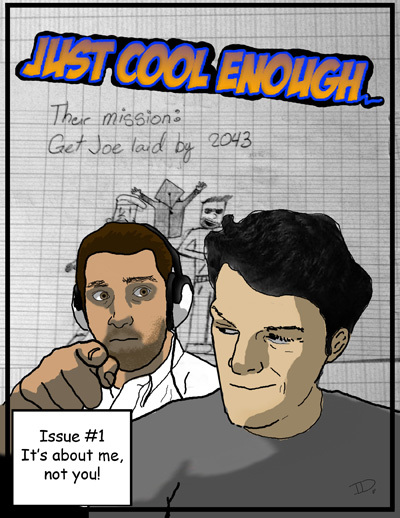 Apr 5 Issue #1: It's about me, not you! This was a cover Ike designed for the would-be JCE comic book. Thanks to listener, "Eric from Canada," for providing the illustrations. Ike took up the challage he set for himself to design the cover to the comic book using some of Eric's illustrations as the background image. Write a comment below and let Ike and/or Eric from Canada know what you think. Also feel free to submit your artwork or artwork challage to theshow@justcoolenough.com.